3. 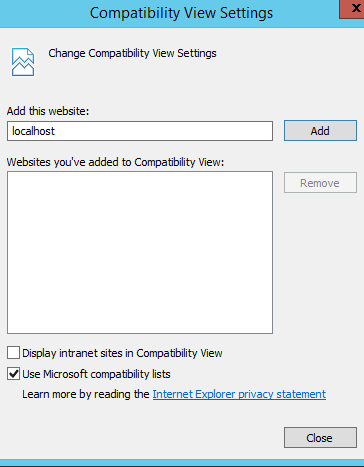 Remove the your IdP website from the compatibility view list. 4. If you're going to an FQDN eg idp.mydomain.com it might also count as an "Intranet Site" so if it is still broken after performing step 3, go ahead an untick "Display Intranet Sites in Compatibility View"